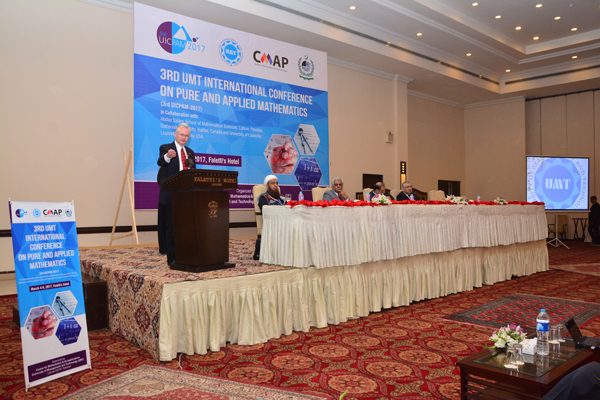 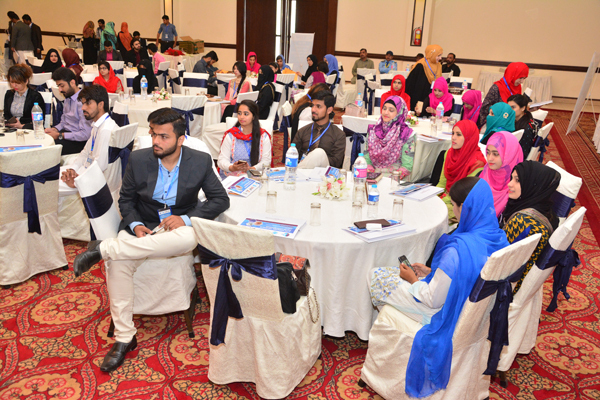 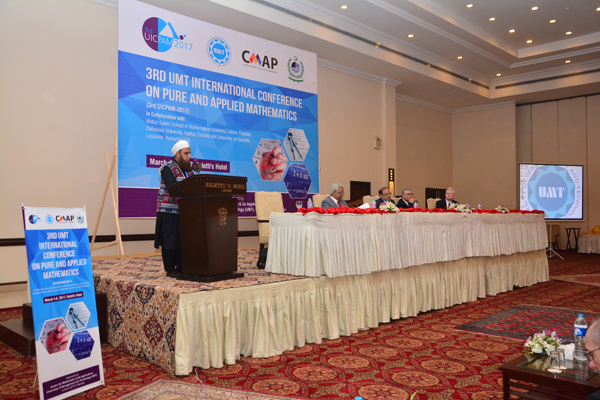 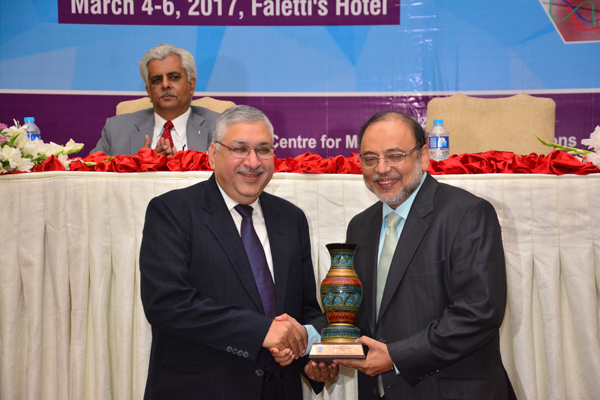 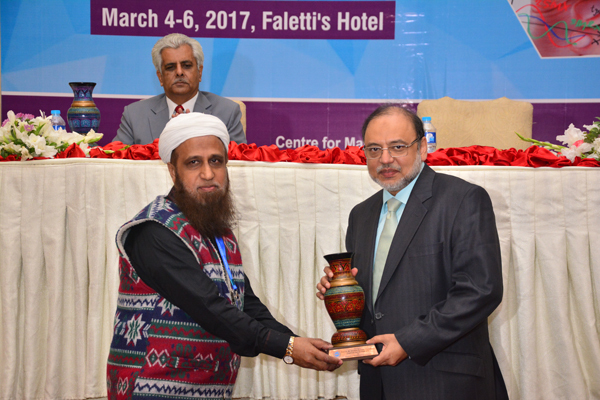 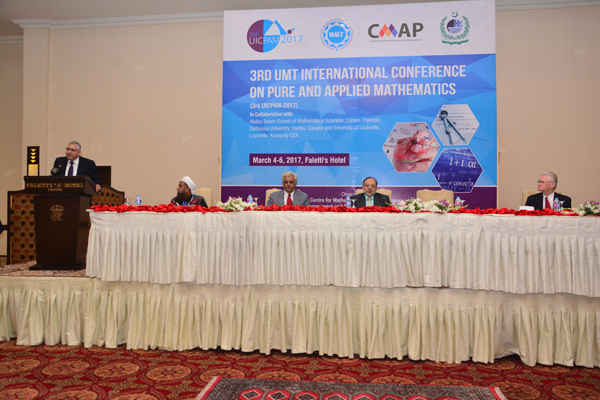 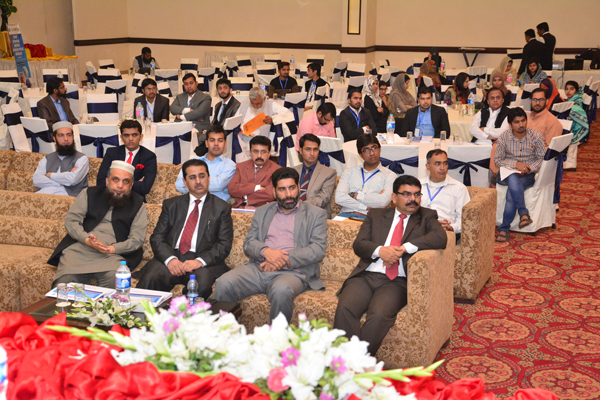 The inaugural session of the 3rd UMT International Conference on Pure and Applied Mathematics (3rdUICPAM-2017) scheduled on March 4-6, 2017 organized by Center for Mathematics and its Applications (CMAP) was held at the Faletti’s Hotel today. 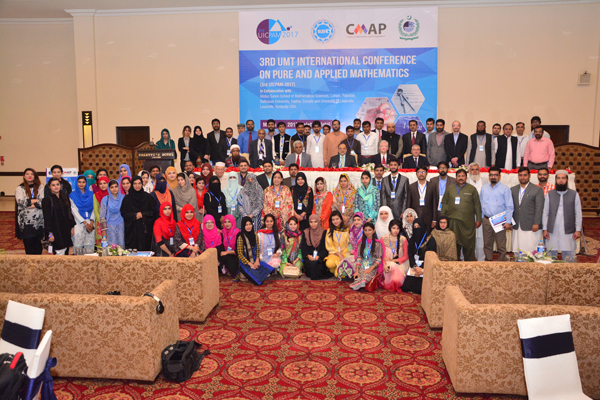 The UICPAM is being graced with the presence of 50 speakers in addition to the 16 invited national and international speakers. 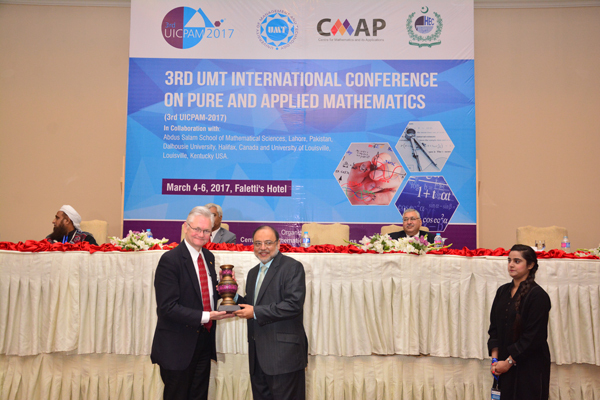 Dr Hasan Sohaib Murad, Rector UMT, is the patron of the conference while the international advisory board comprises of renowned professionals and academicians from Canada, Saudi Arabia, France and the USA. 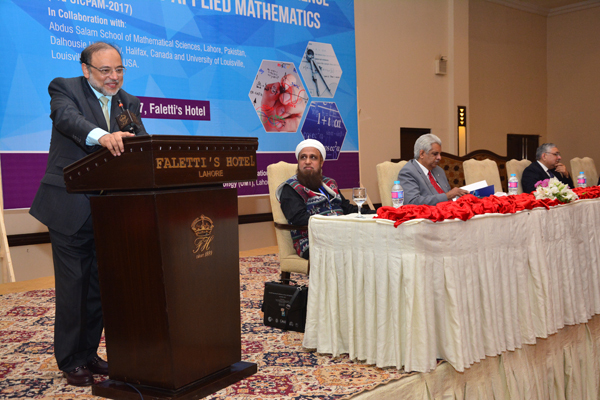 The opening ceremony was held on Saturday, March 4, 2017. 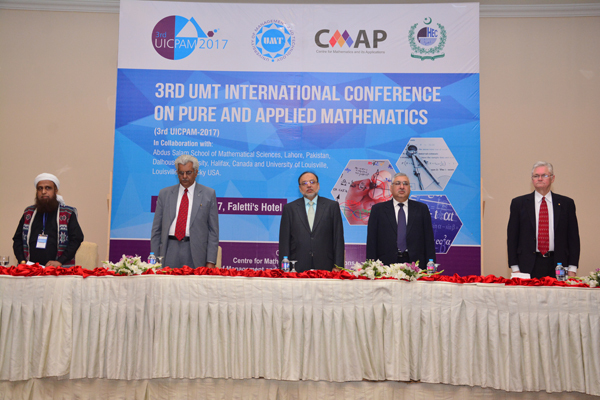 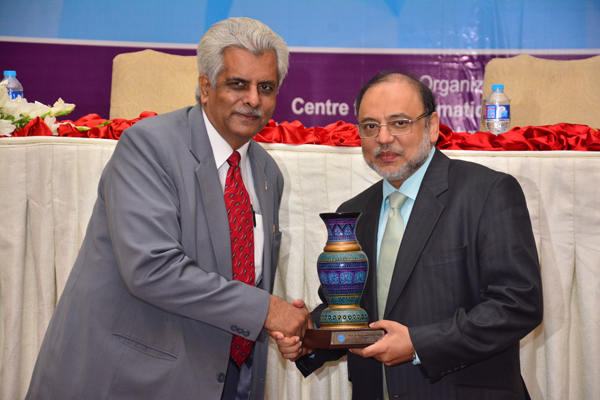 It was graced by the presence of Dr Hasan Sohaib Murad, Rector UMT, Abid H K Shirwani, DG-UMT, Dr Muhammad Azhar Iqbal, Dean SSC, Dr Mohammad Showkat Rahim Chowdhury, Director CMAP, registered participants, speakers and invited speakers.